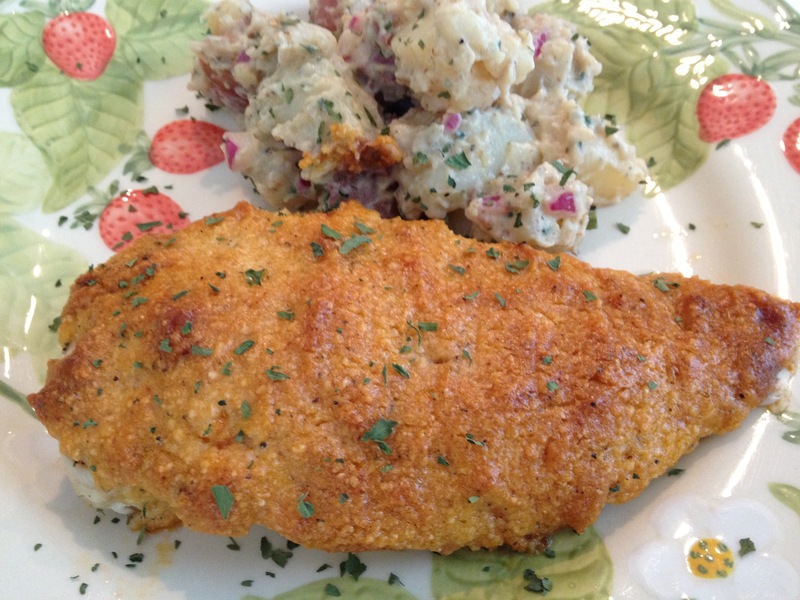 This recipe is my super-basic take on the ever-so-delicous Chicken Cordon Bleu, which is typically breaded and fried. I am trying to lighten up recipes and cut down on bad fats and carbs, so I got creative and simply increased the flavors and baked it! You will fall in love with this recipe not only because it hits all the flavor notes: creamy, salty, and tangy; but also it does not take long to prep in the kitchen, as the ingredient list is short and sweet! 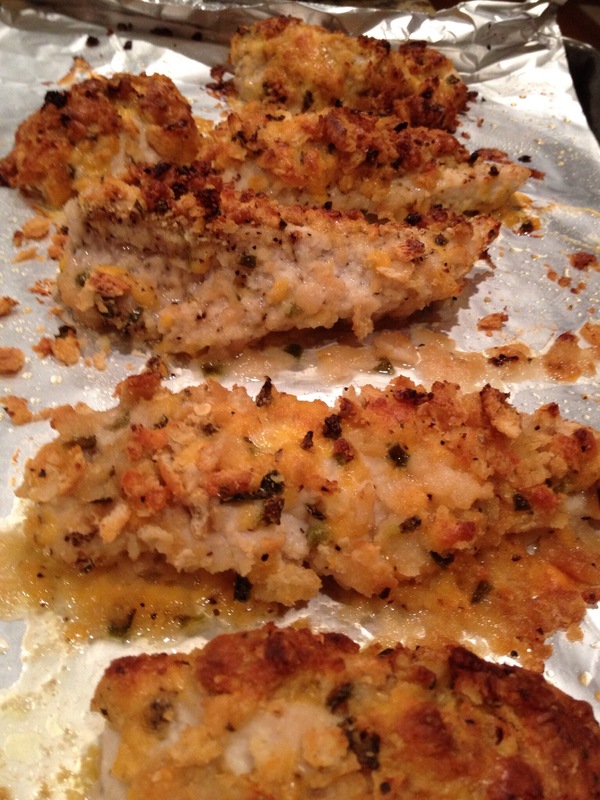 I lighten up the normally breaded chicken and throw in a flavor boost by substituting Dijon Mustard for the panko or breadcrumbs. 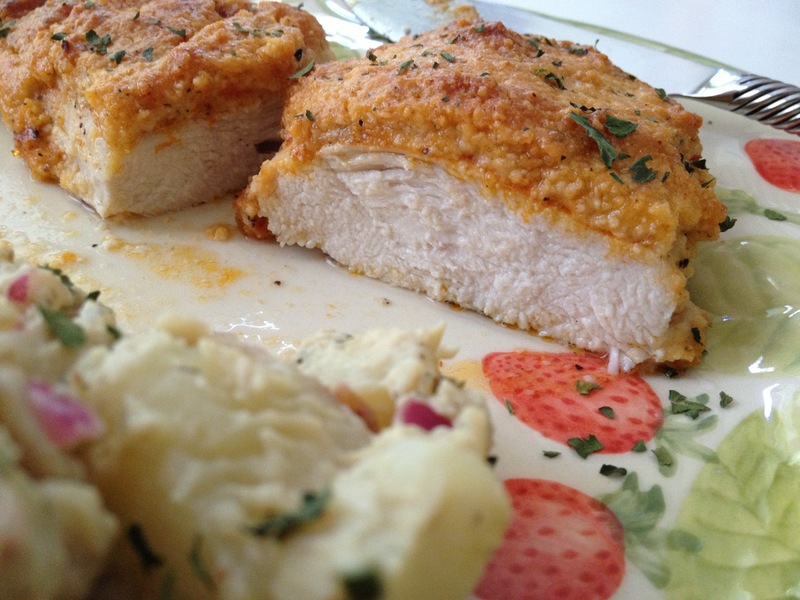 This adds a zippy coating to the outside of the chicken that is absolutely divine. I also use Smoked Ham instead of regular to increase the flavor depth. I considered using proscuitto instead of ham, but didn’t want to overpower the chicken with the saltiness of the proscuitto since I was using Swiss and Brie cheese. 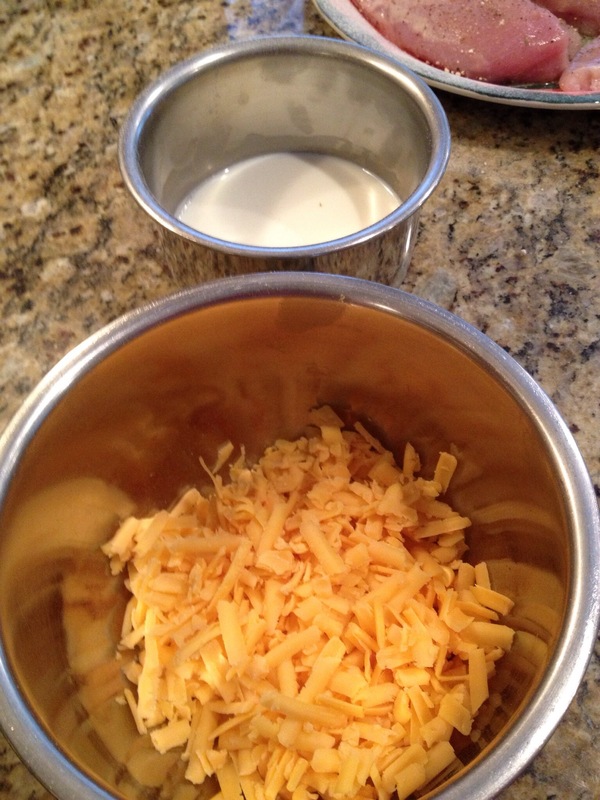 This recipe should be easy to change up by trying a different type of meat and experimenting with various cheeses. I knew I wanted to use the Swiss, because it pairs so well with Dijon, and I just happened to have some leftover brie I needed to use up, so I thought, Why the heck not?!?! And the results were FANTASTIC! I thought the most difficult part of this recipe was going to be butterflying the chicken. I was pleasantly surprised when it turned out not to be as messy and disastrous as I had imagined. The most important part when butterflying is to be sure you are using a nice, clean dry chicken breast and you have a well sharpened knife. A good knife will slice through the chicken easily, and not tear or rip the meat apart. So, just take your time and be careful and I’m sure you will be just as successful as I was! Now I can’t wait to butterfly more chicken and stuff it with all types of different ingrendients and bake it! Perfect for a Healthy Dinner! All of these options sound like they need to be taste tested… But I digress…….those will have to be tried at a later date. 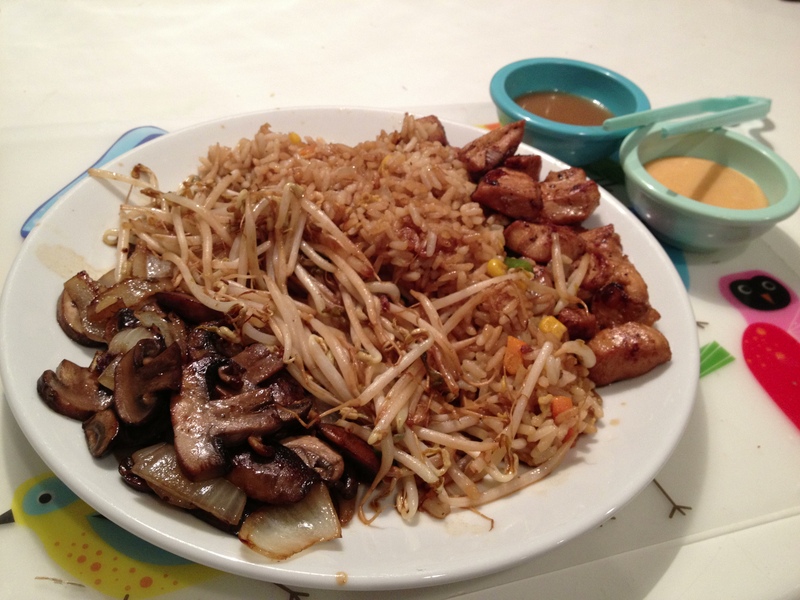 Now, back to my Blue Ribbon Chicken. 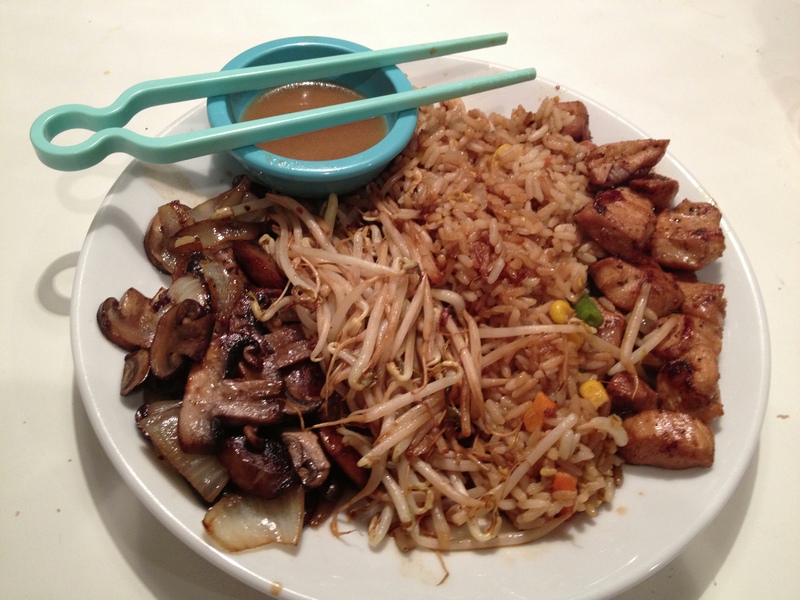 Yummmmmm, looks amazing, doesn’t it??? Ok, here’s how you make it! Pretty Simple, just as I promised! 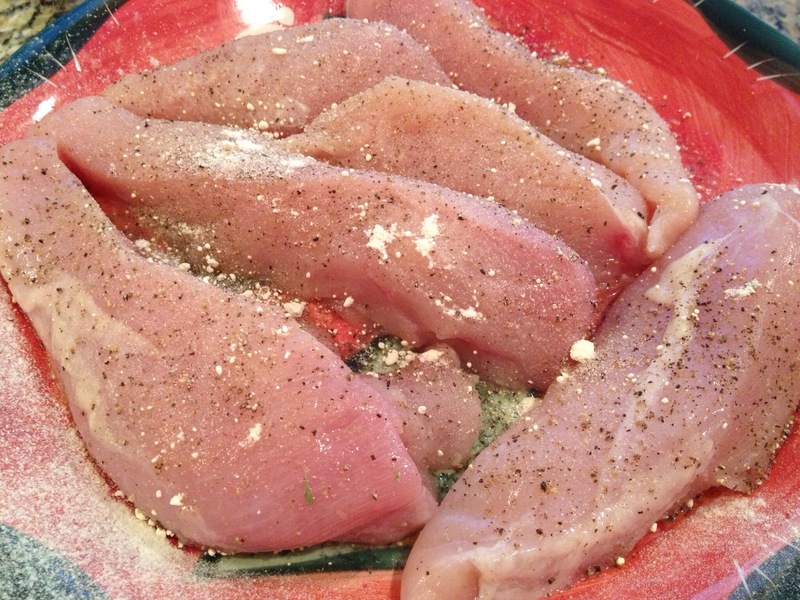 Next, make sure your chicken breasts are clean and dry and give them a quick butterfly then season the inside with Salt and Fresh Ground Pepper. 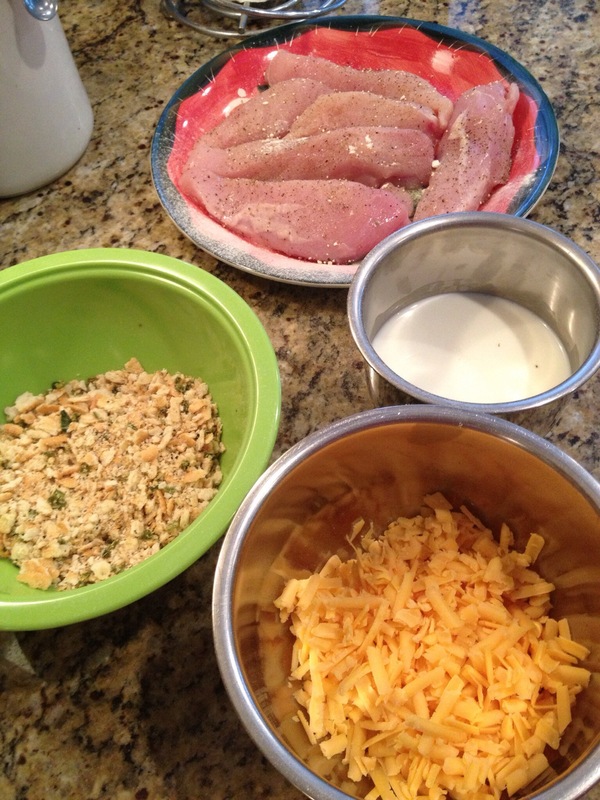 Butterflied Chicken Breasts with Ingredients Ready! 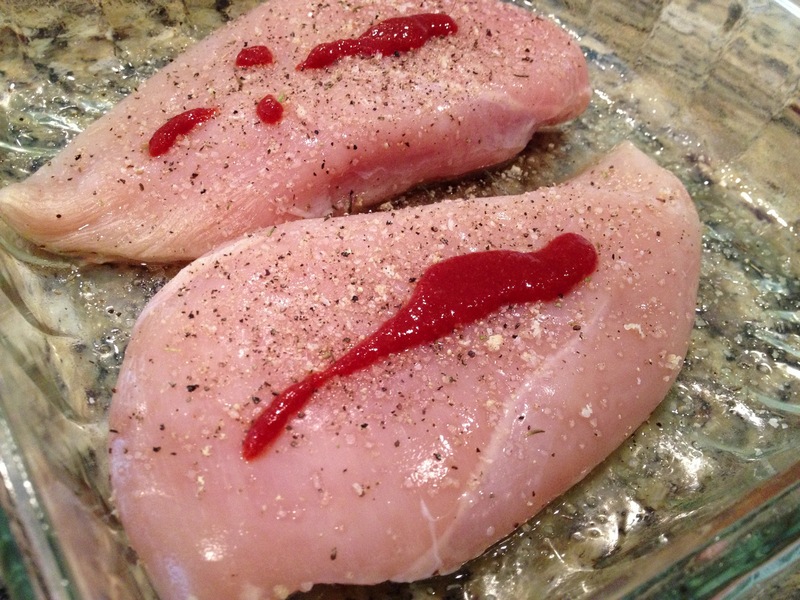 Place your chicken breast on a cutting board and (with your hand flat on top of it) use a sharp knife to slice halfway into one side of the breast….starting at the thicker end and ending at the thin point. Be very careful not to cut all the way through to the other side! Then open the breast up so that it resembles a butterfly. 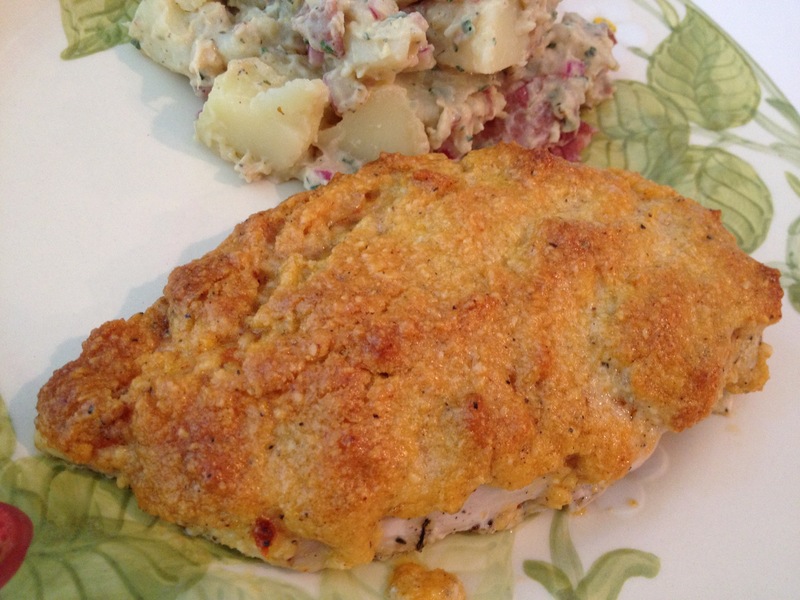 And voilà, a perfectly gorgeous butterflied chicken breast. You can also pound it out a little bit now between wax paper to allow the chicken to cook evenly. Layer the Ingredients inside the butterflied chicken breast. 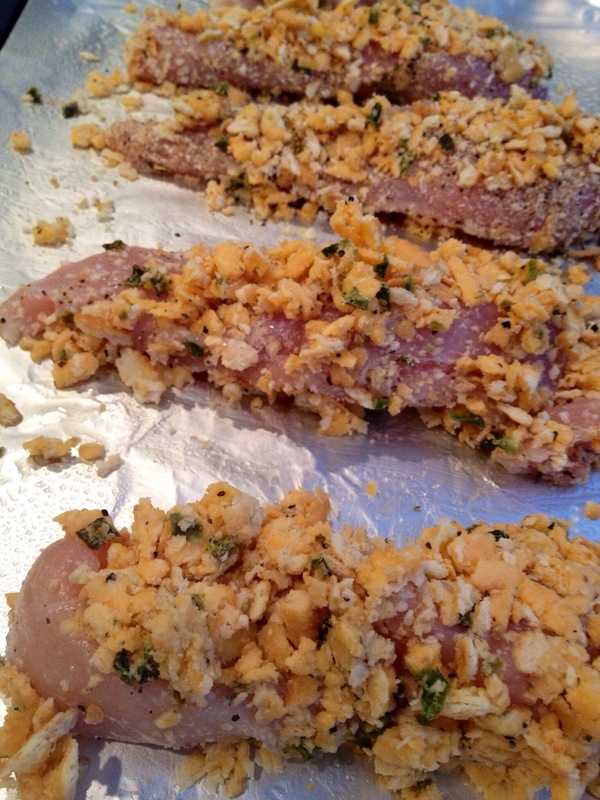 Now, the chicken breasts are butterflied, opened and seasoned. Next you start to layer. First put a small dollop of Dijon Mustard on each breast. Then layer a Slice of Swiss Cheese, 2 Slices of Smoked Ham and 2 Slices of Brie Cheese. 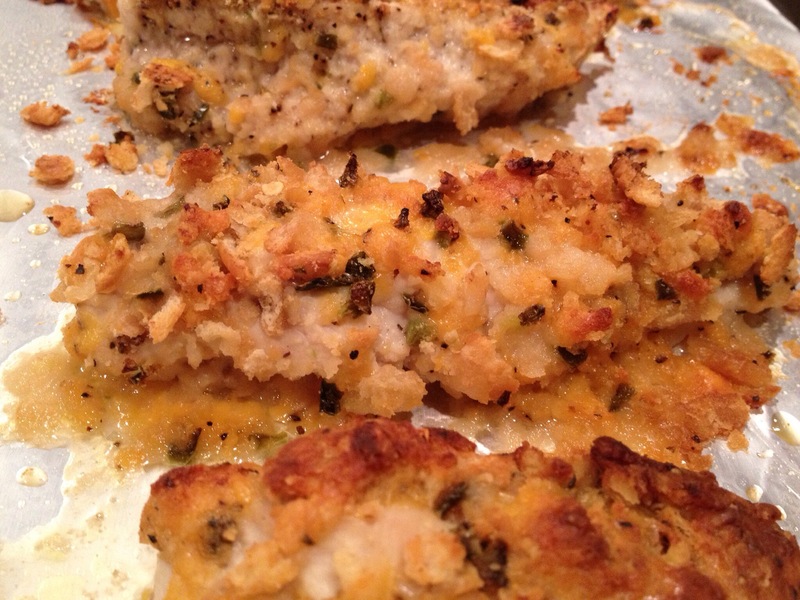 Lastly, close up the now stuffed chicken and coat the outside in Dijon Mustard and Fresh Ground Black Pepper. You can use a bamboo toothpick to help keep the fillings in, but I was OK with some of it leaking out to help create a “sauce” so I actually skipped this step. Depending on the ingredients, you might need to use one to help with the seal. Just be sure to SOAK WOODEN TOOTHPICKS IN WATER for 15 minutes before you use them so they won’t burn in the oven! This isn’t a gorgeous picture, but here it is, fresh out of the oven. You can see the gorgeous juices it made and allowed the chicken to stay nice and moist. Bake 385º for 25-30 minutes or until chicken is done (the juices run clear or 160º) and the cheese is all melty and bubbly. 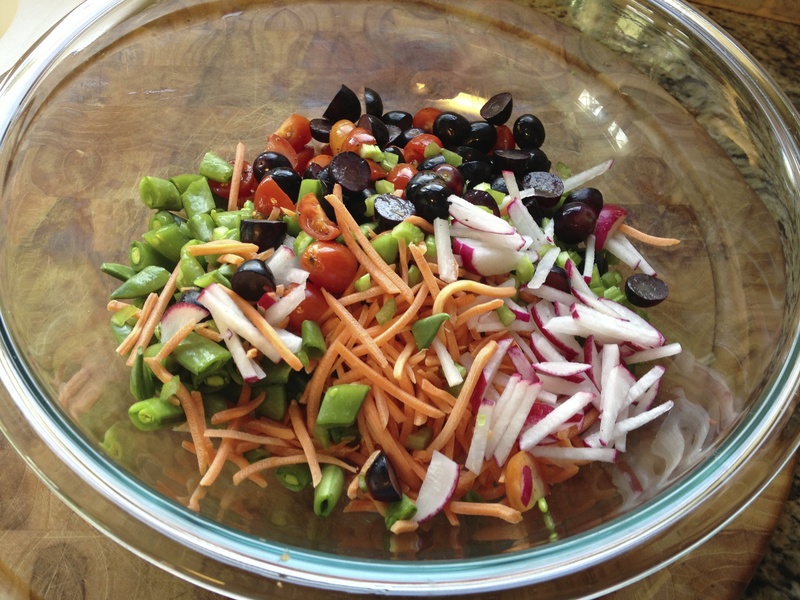 Serve with any green veggie! I made Roasted Brussel Sprouts, Mushrooms and Peppers with a little EVOO, Garlic Salt and Fresh Ground Pepper. Seriously, it doesn’t get much easier or tastier than this! I hope you try it and fall in love. This one with definitely be making its rounds in my weekly recipe rotation. 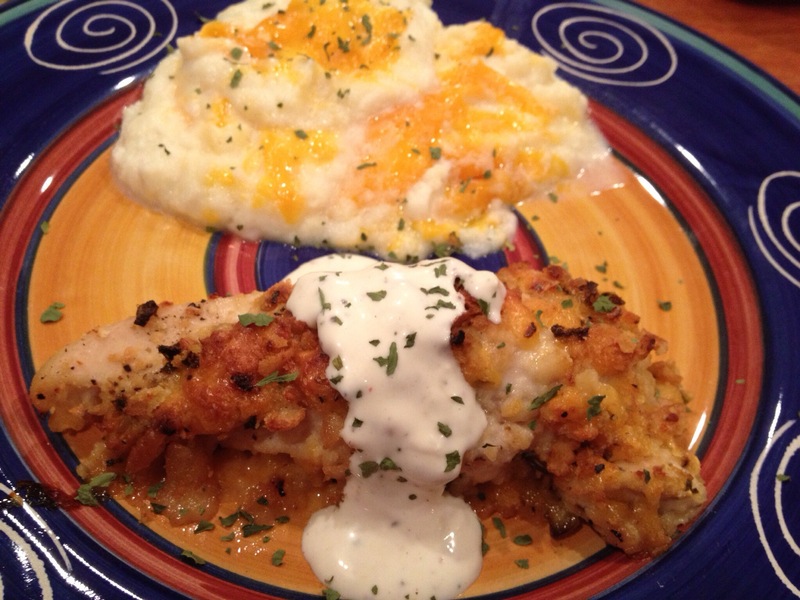 You can even make and stuff the chicken ahead of time and just pop it in the oven when you are ready! Heat Oven to 385º. 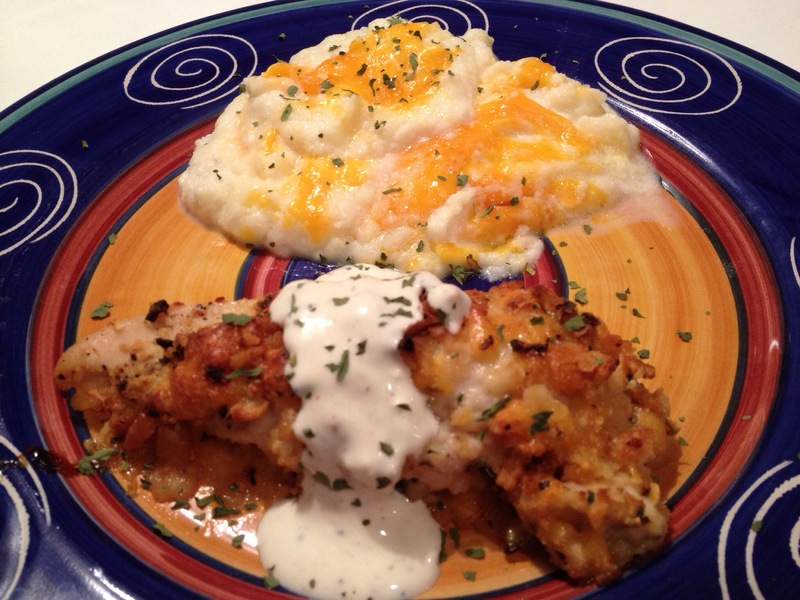 Spray Casserole Dish or Pyrex with nonstick spray. 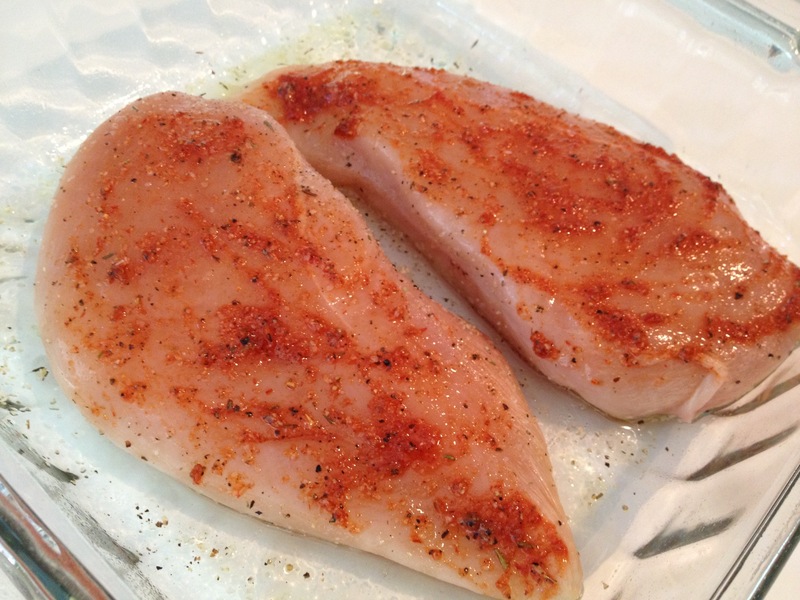 Butterfly Chicken Breasts and season with salt and pepper. Dollop a teaspoon of Dijon Mustard on each opened breast and smear. Layer Swiss, Ham and Brie into butterflied chicken. Close Chicken tightly keeping all ingredients inside and seal with a few toothpicks, if using. Season outside of stuffed chicken with fresh pepper & salt. 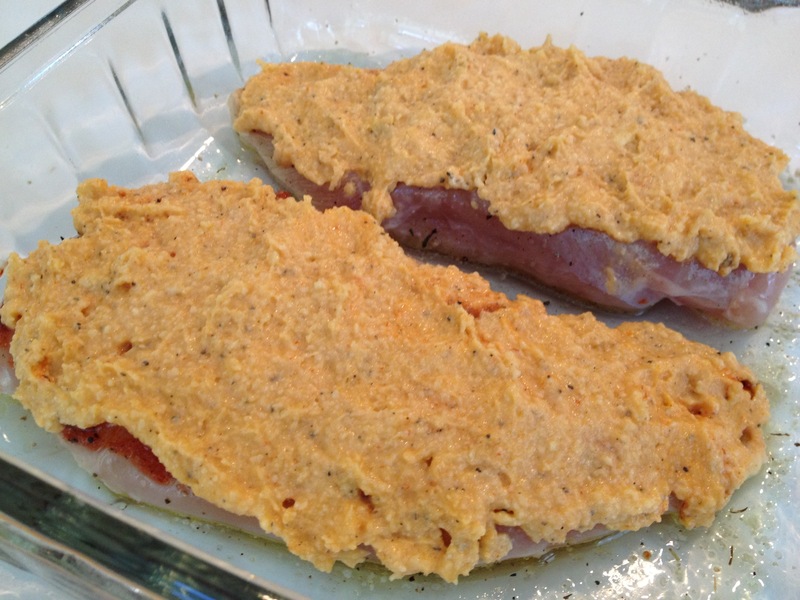 Then coat entire outside of each chicken breast with 1 teaspoon of dijon mustard. Put in preheated oven and bake for 25-30 minutes or until the chicken is done! 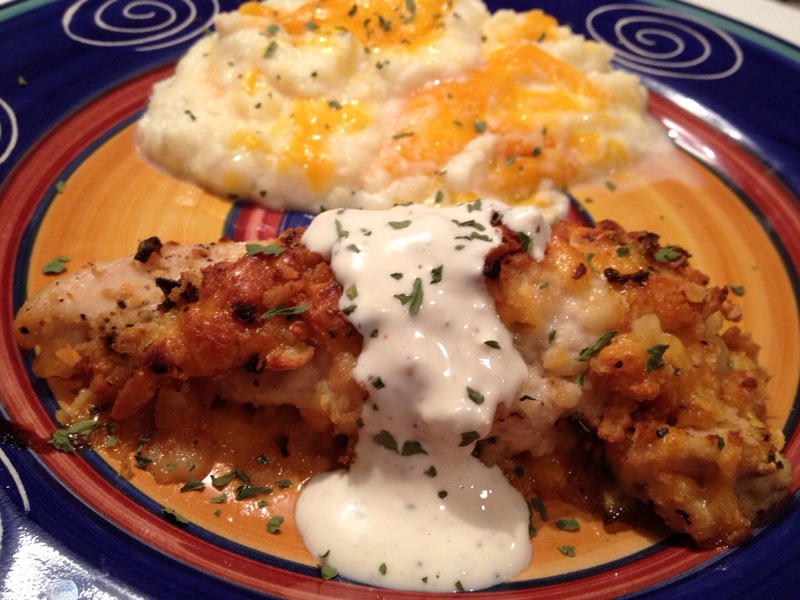 The salty, smokey, creamy chicken is just oozing with flavor. And here is a quick pic of my side! Brussel Sprouts, Mushrooms and Peppers heading to the oven to roast! We like a little bit of char on our Roasted Veggies! And, I forgot I added a few torn pieces of leftover bacon that we had cooked that morning for breakfast. I added it to the veggies the last 3-5 minutes of cooking. The bacon was already cooked, so I just wanted to warm it up and let some of the grease get in those veggies for another pop of flavor! Ok, we’ve all seen this recipe floating around. I’ve personally seen it so many different places, I can’t give proper credit to the original. For that, I apologize. As for you, dear readers, I decided to try it out! I made up my spice mixture, and the results were DELICIOUS!!!! I couldn’t wait to share it with y’all! Try it, you’ll love it. Skinny, delicious, and easy clean-up! 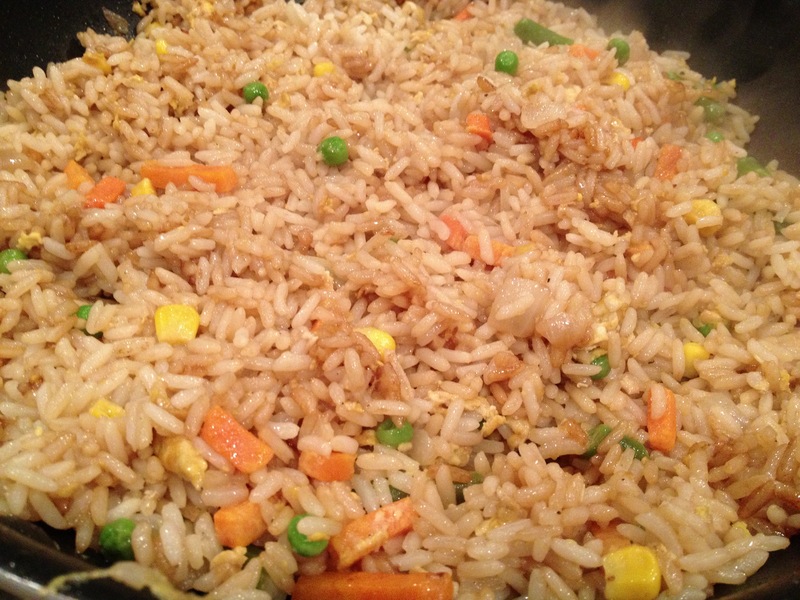 The perfect recipe for a Weeknight supper! These are the ingredients I had onhand, so this is what I used! Feel free to add or omit as needed! 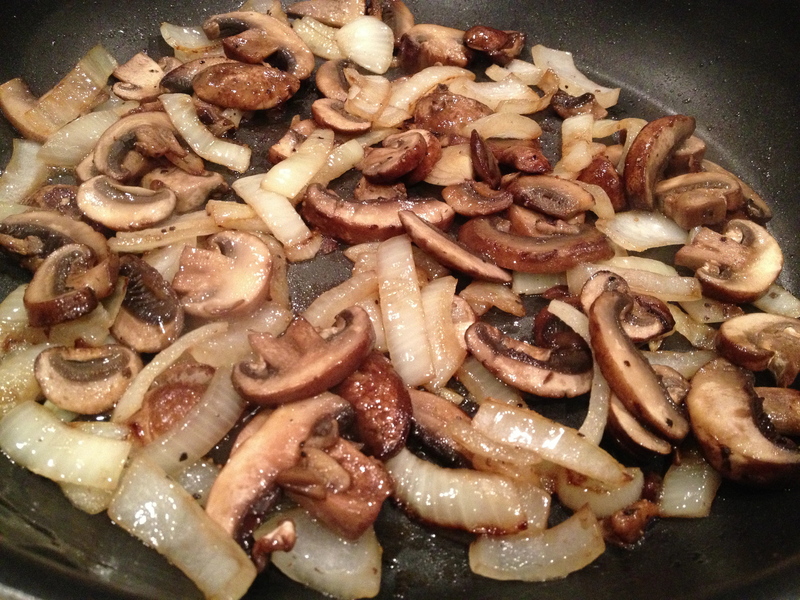 For example, if you don’t like mushrooms or tomatoes…leave them out! Only like red bell peppers and not green….no problem, double up on the red or add an orange or yellow. The recipe is basic and pretty much foolproof. Make it like you like it!!! 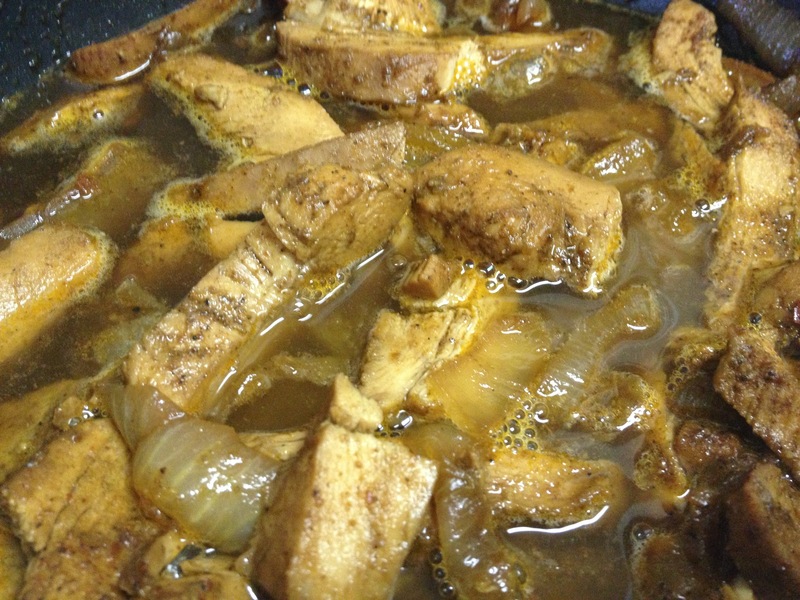 Coat with Spice Mixture & Oil. Mix to Combine. Bake in Oven…it smells YUMMY!!! It’s Taco Time!!! Top with fresh Cilantro and a squeeze of fresh Lime! *Preheat Oven 400. 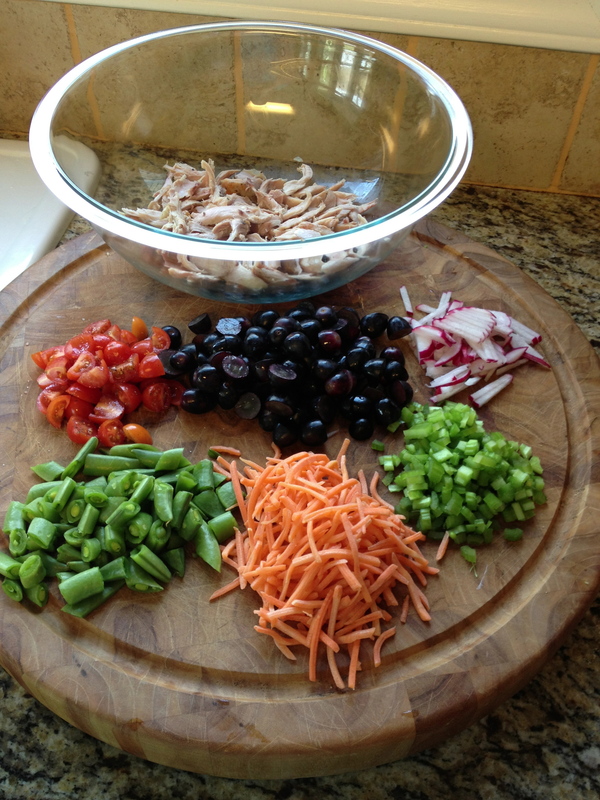 Combine all Seasonings into small bowl and mix to combine. Lightly grease a 9 x 13 Baking Dish. Add all Ingredients to the dish. Sprinkle Seasoning over Chicken and Veggies. Drizzle Oil. Mix with your hands to combine and evenly distribute the Seasoning. Bake 30-45 minutes, stirring once. Enjoy! * Pop chicken in the freezer for 15 mins before slicing. * Like it spicy? Substitute Poblano Peppers or add in a few Jalapeños. * Have some Leftover? Make a Fajita Taco Salad or a Fajita Wrap, or add some chicken broth and have a nice Soup the next day for lunch or dinner!!! Under the weather? Feeling a little blah? Or just need some soup to help you warm up? The normal “go to” recipe would be basic Chicken Noodle Soup. But, I am not a huge fan. So I created a new “go to” soup for the sick soul. 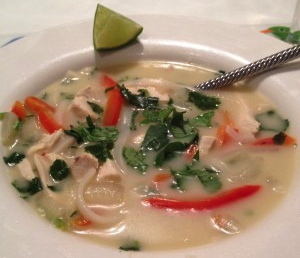 A Thai version of Chicken Noodle Soup that packs a little heat to help open up my stuffy nose. I’ve also cut the fat and calories down as much as possible to create a “skinny” version. This soup is packed full of so much flavor, you don’t even miss it! The onions, garlic, ginger, lemongrass and fresh lime juice add some serious health benefits to get me back on the road to recovery! Warm and Comforting with a little KICK! *Heat Grapeseed Oil in large soup pot over Med-High. Add Onion, season with Salt and Pepper, and cook about 8 mins, stirring occasionally, until softened and starting to brown. 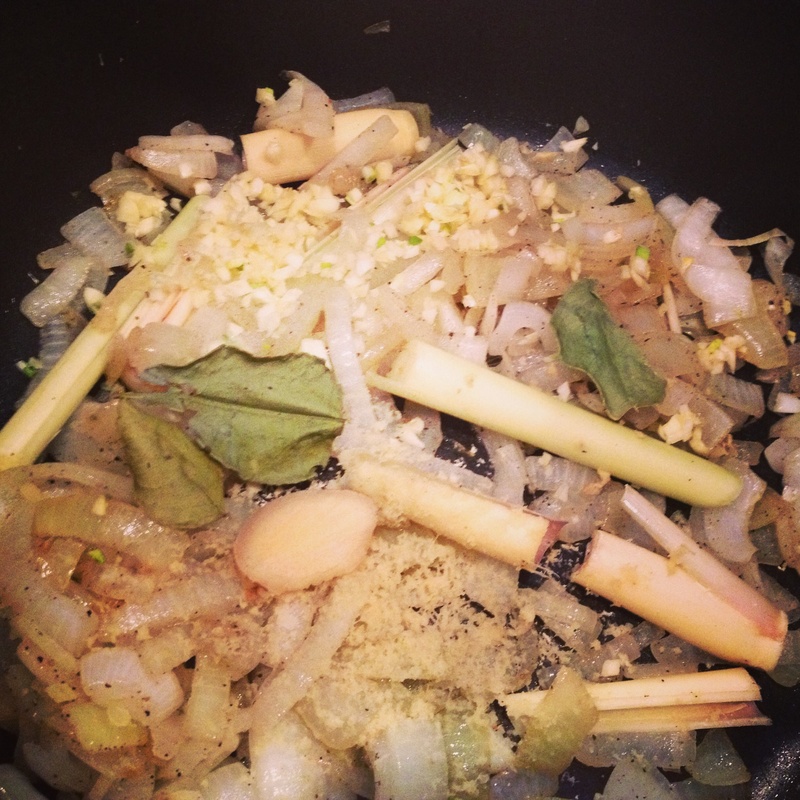 Turn Heat to Med add Garlic, LemonGrass, Ginger & Kaffir Lime Leaves. Sauté 2-3 mins until fragrant, stirring occasionally so the garlic doesn’t burn! Add Green Curry Paste & Lime Zest and sauté another minute or so. Add Chicken Broth, Coconut Milk & Fish Sauce. Turn up heat and bring to a slight boil. Add Red Bell Peppers & Rice Noodles and simmer about 3 mins until noodles are al dente. 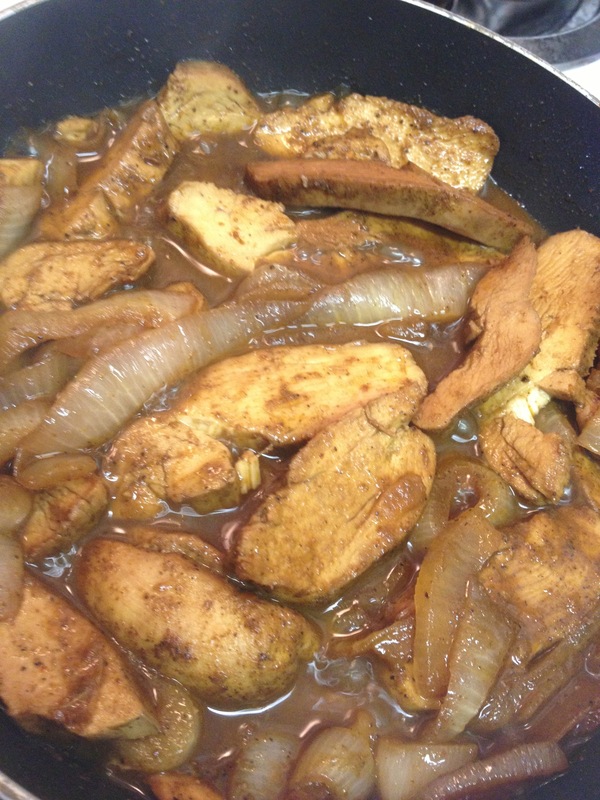 Add uncooked sliced chicken and simmer until chicken is cooked through, about 3 mins. Turn down heat. Add Crushed Red Pepper, Lime Juice and Cilantro. Taste. Adjust Seasonings as needed; fish sauce, salt, pepper, crushed red pepper, etc. Serve with a sprinkle of Cilantro and a Fresh Lime Wedge! 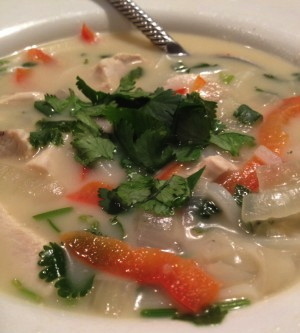 A great “go to” Feel-Better Soup! *The heat of this soup is easily adjusted. Cut the Green Curry Paste in half, and leave out the Crushed Red Pepper Flakes if you don’t care for too much spice. 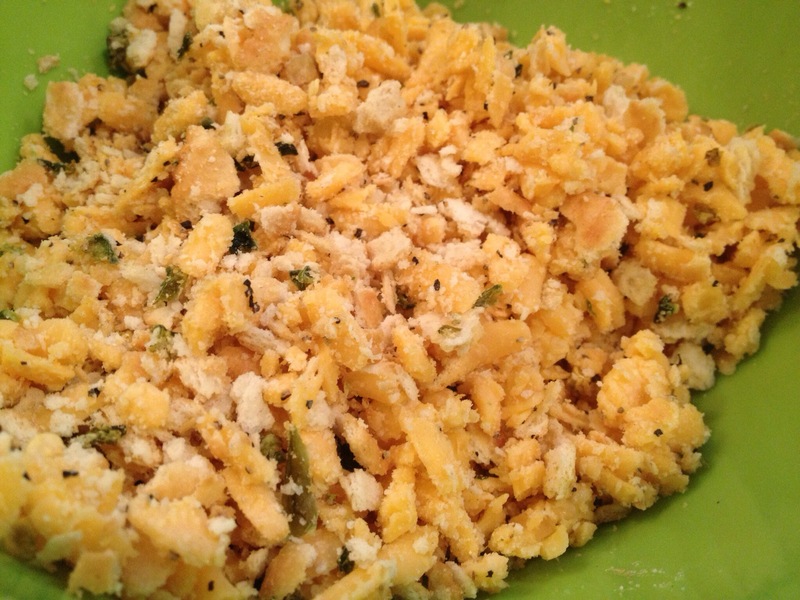 The garlic and ginger gives it a natural heat! *Lemongrass. Amazing flavor. I used a whole stalk. If you don’t grow your own, or can’t find it, you can use 2 tsp dried lemongrass. For the stalk, I simply cut it into 2 inch pieces, sliced it lengthwise, then smashed it with my knife. That was the soup can absorb all that amazing flavor. I also took about a 1/2 inch and THINLY THINLY THINLY chopped it up into the soup. It is very woody, so you really need to get it chopped up as fine as you can! *Kaffir Lime Leaves. You should be able to find these in the International section of your grocery store. They are not usually in the regular herbs and spices section. I hope you can find these. It will change and intensify the flavor of the soup! *UNCOOKED CHICKEN!?!? What??? Is this OK??? Yes. 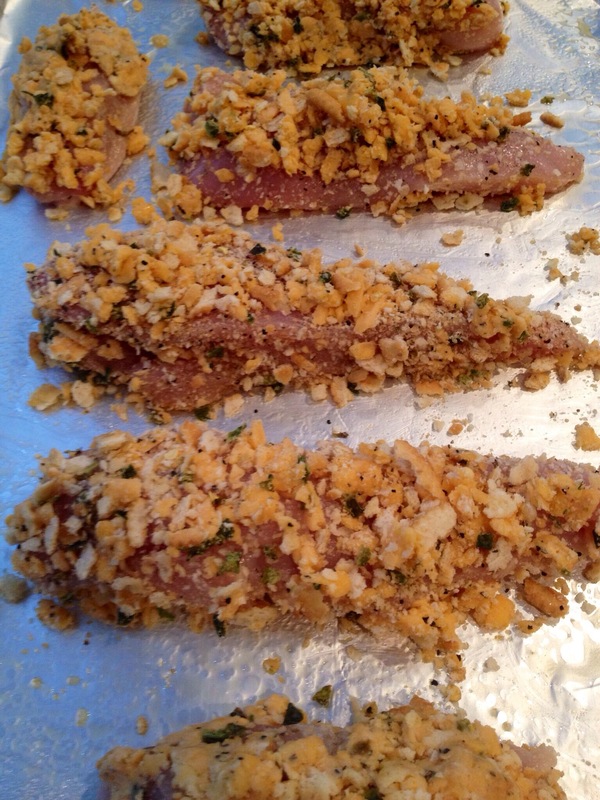 My tip here is to pop 2 cleaned chicken breasts into the freezer when you start to prep for the soup (15 mins). 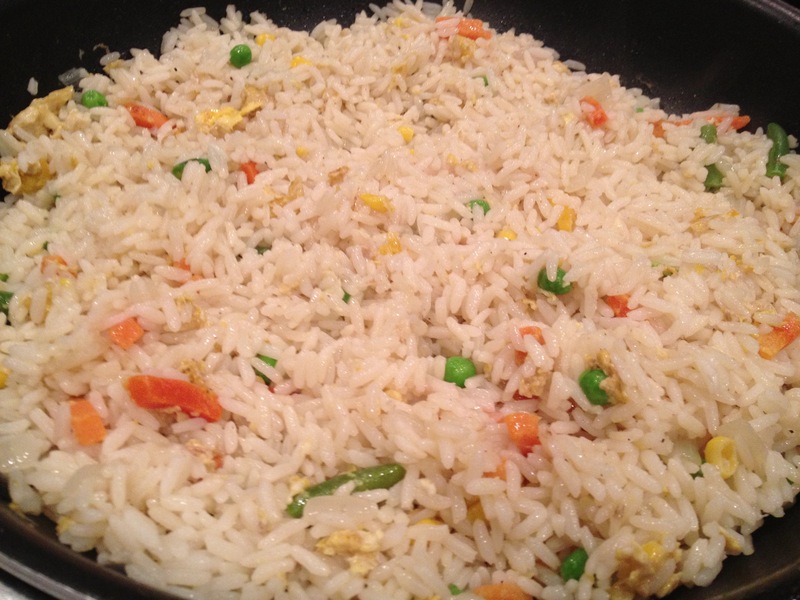 If it is slightly frozen, it is MUCH easier to slice crosswise into small “shaved” pieces. They really do cook up superquick in the soup. Literally, like 3 mins if you have the soup hot enough and chicken thin enough. Just don’t overcook the chicken…it will become rubbery and a tad chewy. This soup is best served right when finished. If you need to have is simmer for a bit, do so after you added the Broth. The Veggies and Broth are fine to simmer, just wait to add the Coconut Milk, Red Peppers and Chicken as you don’t want to overcook them! *I used 2 Limes. One for zest, added to the soup. 1 1/2 added for juice. 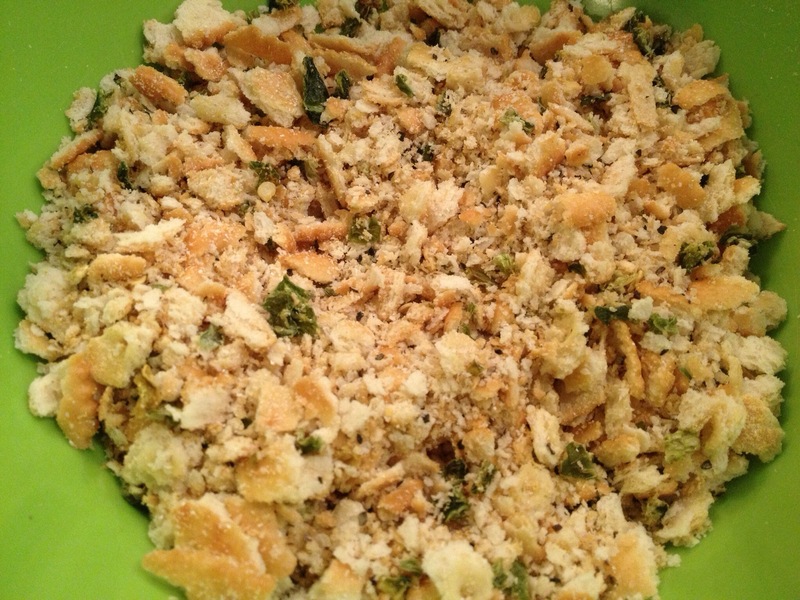 And 1/2 cut up into wedges for serving. I was only making this for the hubby and I last night, so we have some serious leftovers for lunch today!!!! Yippiee!!! 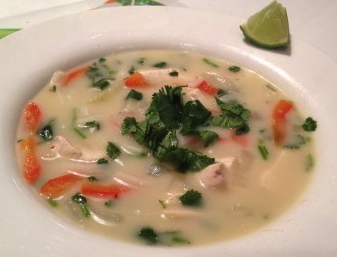 But you need at least the juice of one whole lime to really brighten up this soup! 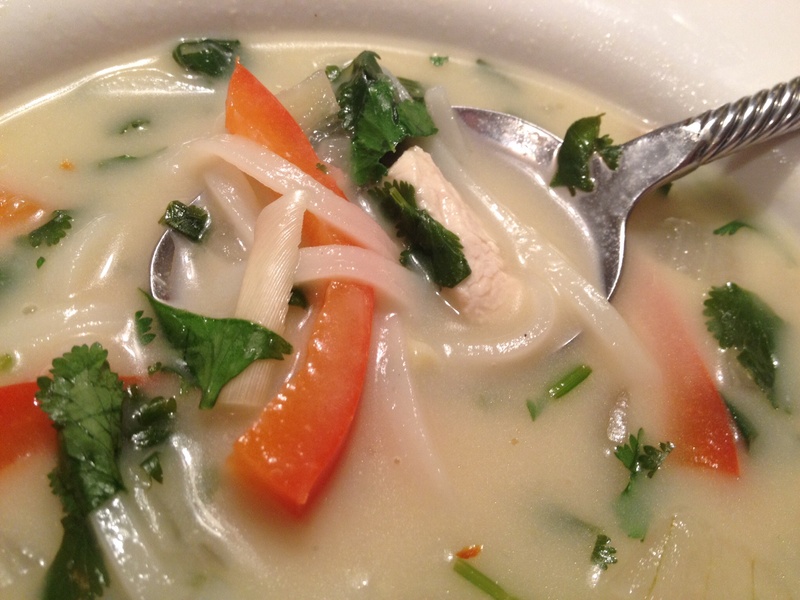 *If you don’t like Cilantro, try replacing it with Thai Basil! Ok, so I feel like I am living in a Full Time Episode of “Chopped”. Since we close on our new house this Mon, I am trying to eat as much as possible from our current food selection at the apartment. We are running low….seriously low. I had one Spicy & Smokey Chicken Breast leftover from last night. And I was going to use leftover Mac & Cheese for the kids. Problem, we couldn’t find the Mac. I figured Mark had eaten it for lunch, so I was back to the drawing board for the kids. (we did find it later…..behind the huge water filter. Lovely.) So, pancakes it is! I whipped up my Maple Pancakes super fast with an Egg for Story and an Amish PB Sammy for Dash, on Raisin Toast, of course!!! And some fresh fruit. 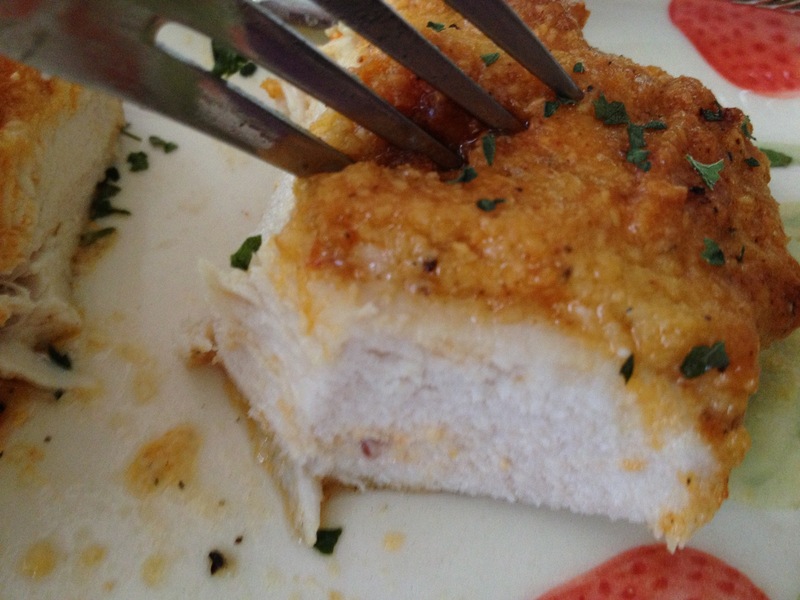 (btw….this local Amish PB is TO DIE FOR!!!! Holy Yummers, ya’ll!!!!!) 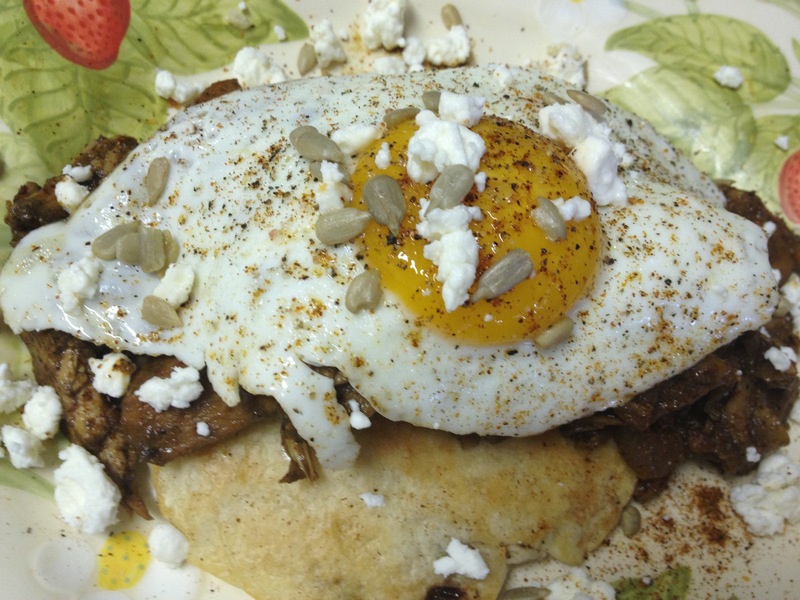 Ok, so now, for our Grown Up Dinner, I have a super flavorful Chicken breast, Maple Pancakes…….Eggs……Feta Cheese. So, here’s whatcha get out of that. Chopped-Style. 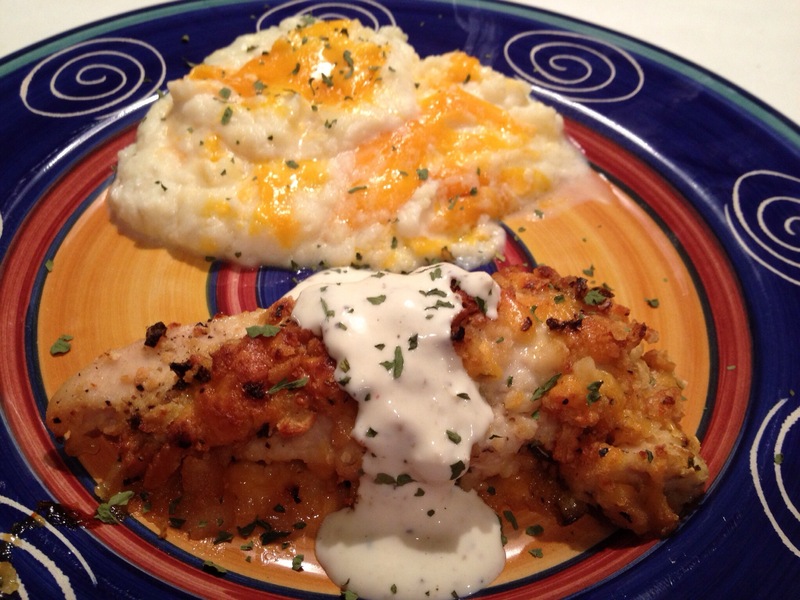 I knew I had to change up the flavor of the chicken a bit to compliment the Maple Pancakes. 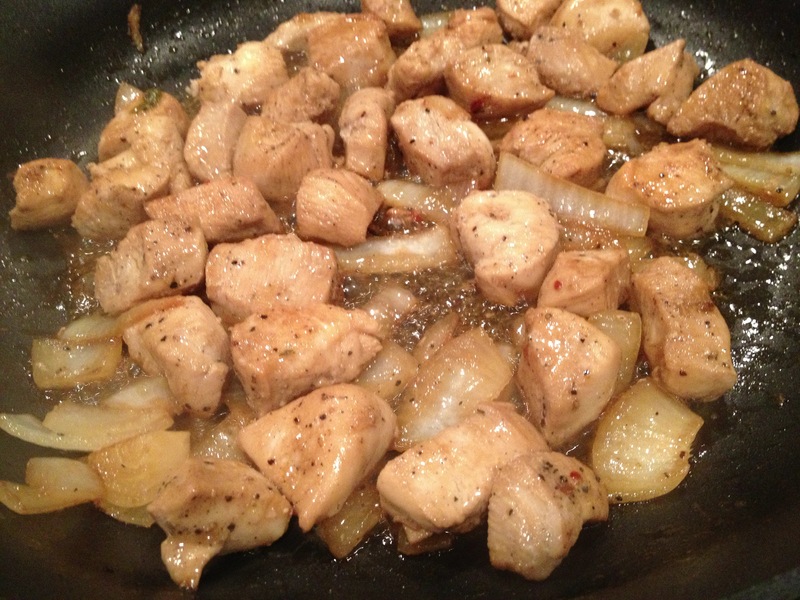 So, first I sliced the chicken and onions and popped them in my cast iron skillet. This Spicy & Smokey Chicken was packed with so much flavor that I knew I had to enhance it with something pretty strong. My first thought was worcestershire sauce. So, some of that went into the skillet. Then, I thought a bit more….needed something even stronger. Hummmm…..do I have any leftover coffee in the pot from this morning? Why yes, yes I do! Leftover coffee can be utilized in SO MANY WAY!!! Don’t forget this hidden gem when making sauces, marinades or even baking with chocolate!!! Amazing enhancer with Chocolate!!!! Then, the Hubby was running late. I had it thickened and ready to go. Ok, time for another improvisation! I thought the flavor of the chicken simmering down was just about perfect with the Maple Pancakes. So, I hit it with a little bit of the Kona Beer I was drinking! PERFECT!!! Won’t let the chicken dry out, but will also compliment the flavors! Alright, Alright. Lookin Good Now! 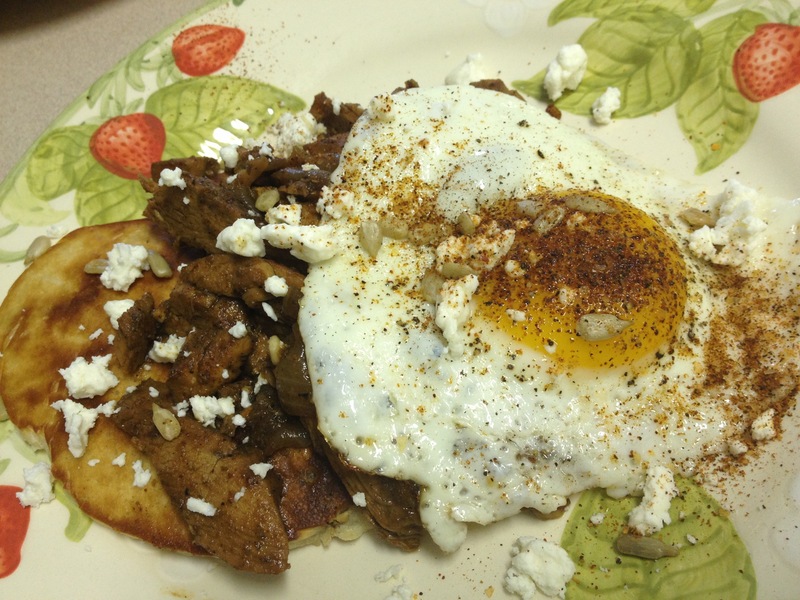 All I did was Put a Maple Pancake on the Bottom, Chicken Over, Fried Egg on Top. 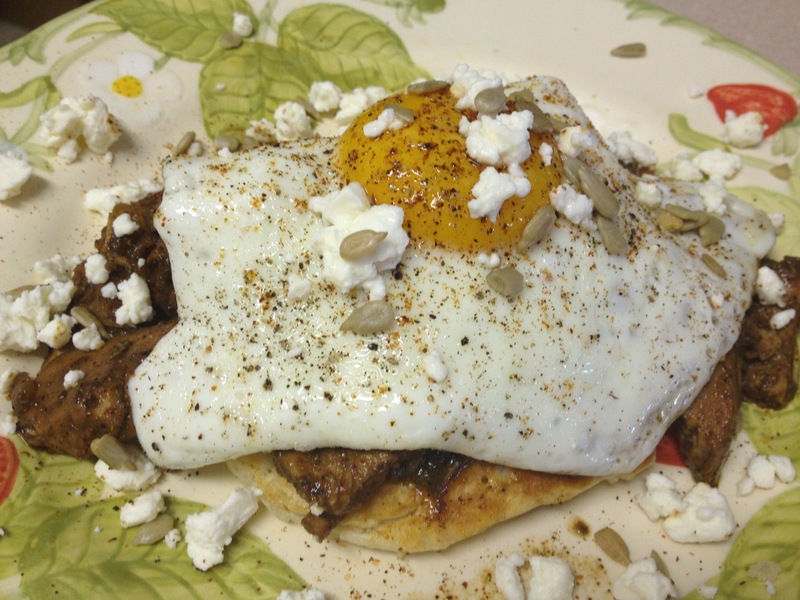 Then sprinkled with a little Spicy & Smokey Rub, Feta Cheese & Sunflower Seeds. After First Bite. Egg is PERFECT!!! 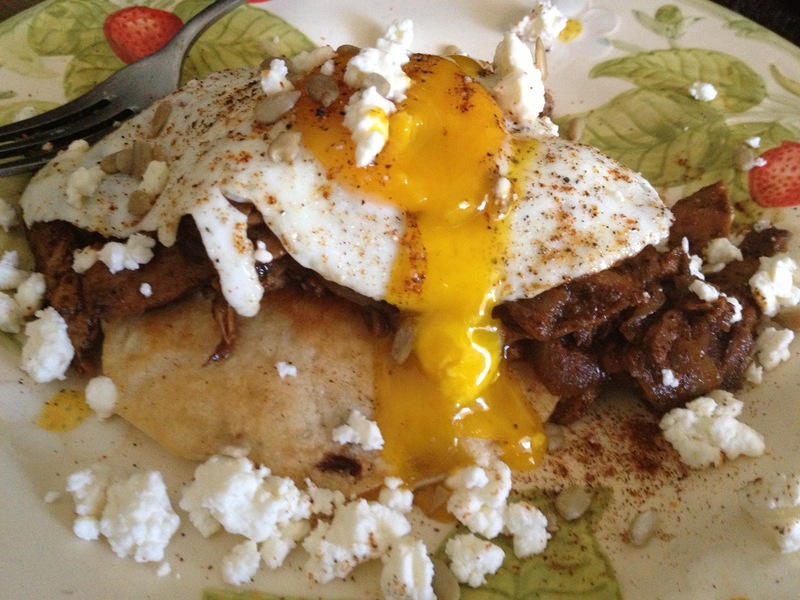 I couldn’t believe how incredibly delicious this turned out! Mark LOVED it! Wow!!! See, sometimes getting creative in the kitchen leads to an amazing meal. CHOPPED Ain’t Got Nothin’ on This Girl!!! Chop them however you like! I did each one a bit different….just to my own personal liking. 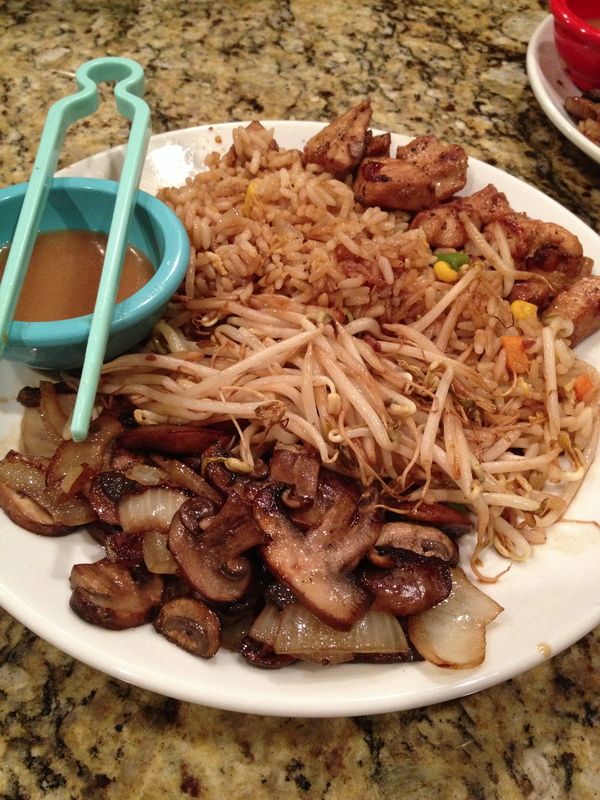 Next, Throw it all into the Bowl. Mix it up! Next, I used my leftover dressing from last night as the binder. Pinot-Grigio, Cucumber & Feta. 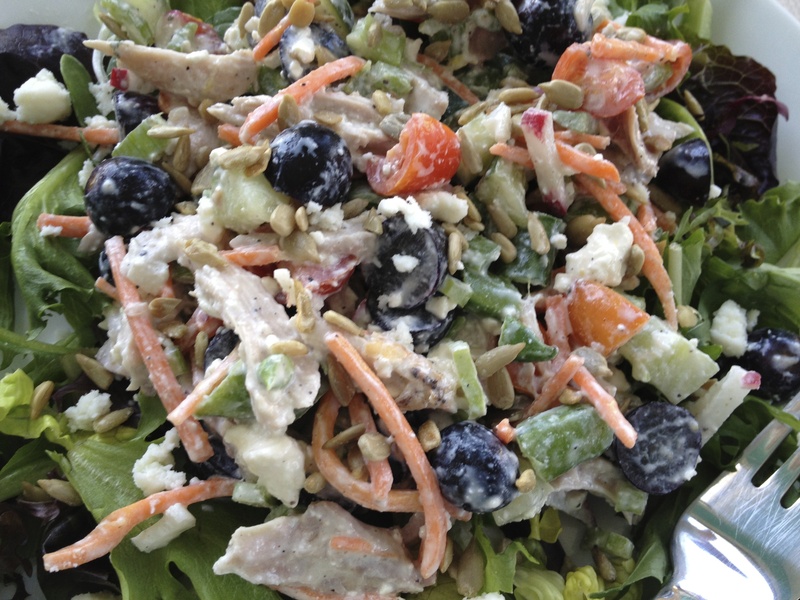 It was fantastic for this chicken salad. 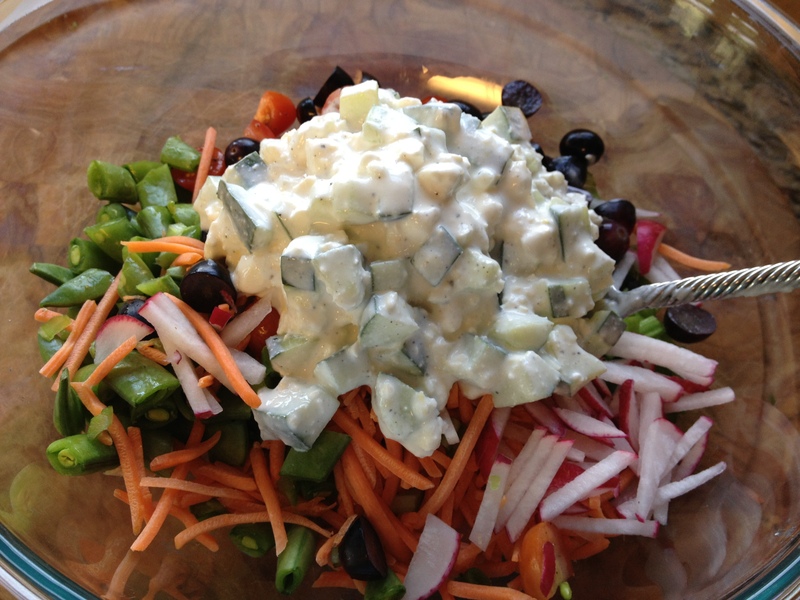 The Creamy Feta, the Crisp Cucumber & Snap Peas, the Peppery Radish, with the Fresh Lemon was just a match made in heaven! Lucky for me!!! 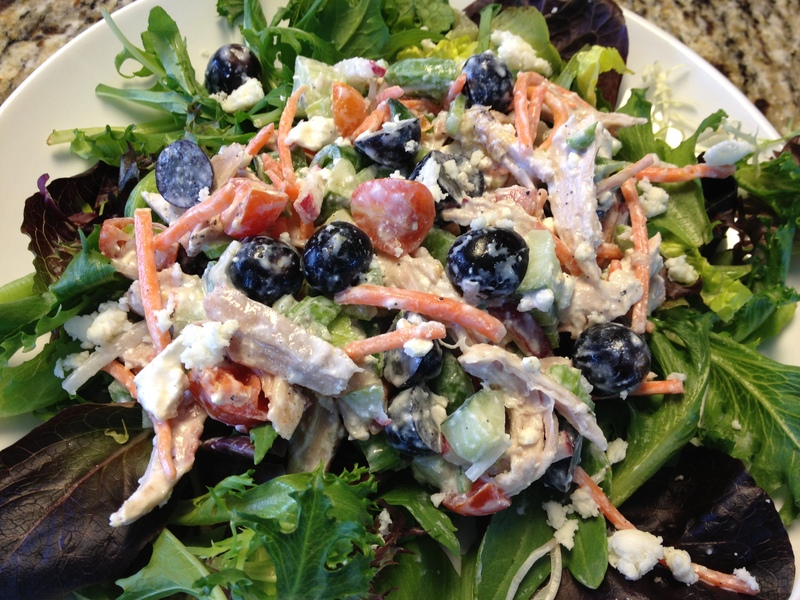 And the base of Greek Yogurt kept the salad LowFat and Healthy! 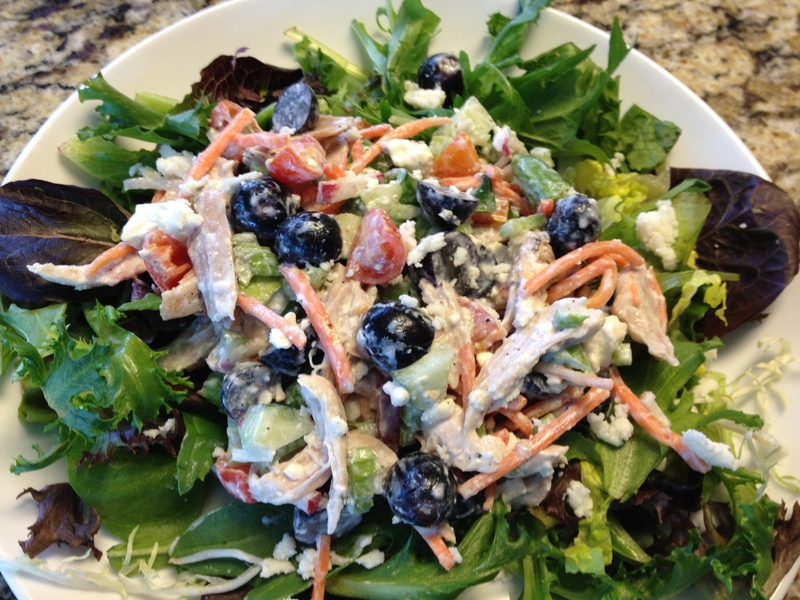 Fresh, Easy, Healthy & SuperDelicious. You get your protein, veggies & fruit all at once. 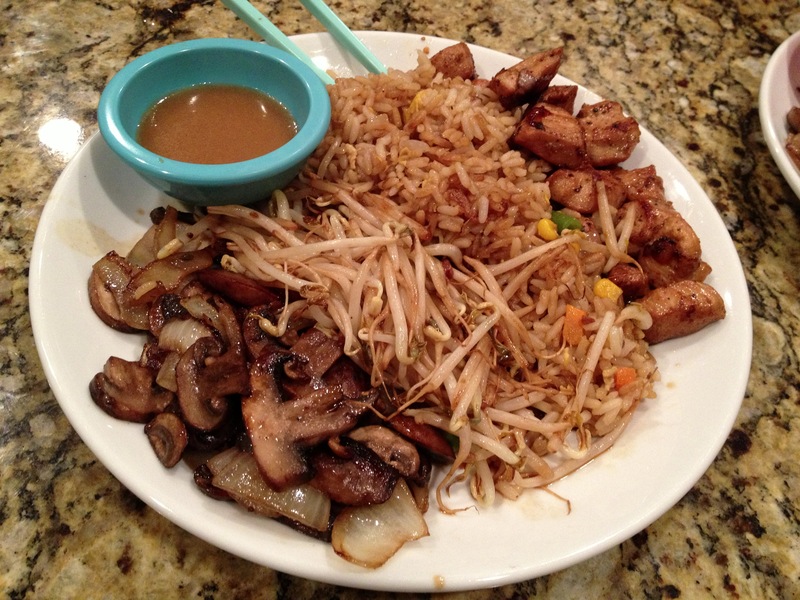 Now, how’s that for leftovers?!?!!? 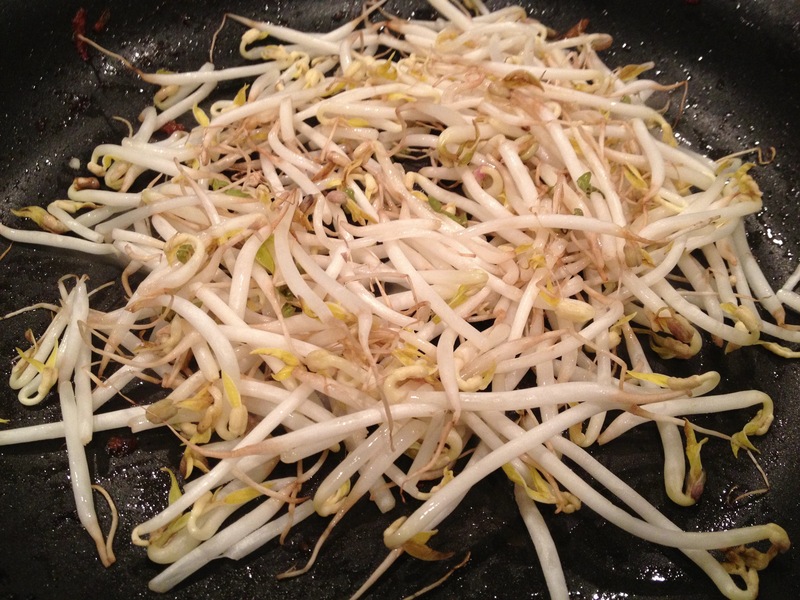 TIP: I also sprinkled Organic SunFlower Seeds & Edamame on top for an extra boost! 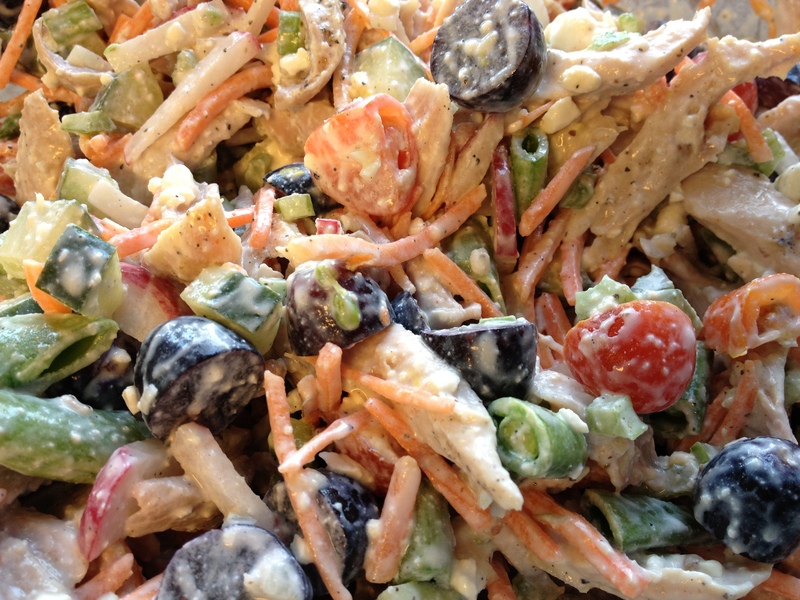 I STILL had some VEG-OUT CHICKEN SALAD leftover for lunch the next day. 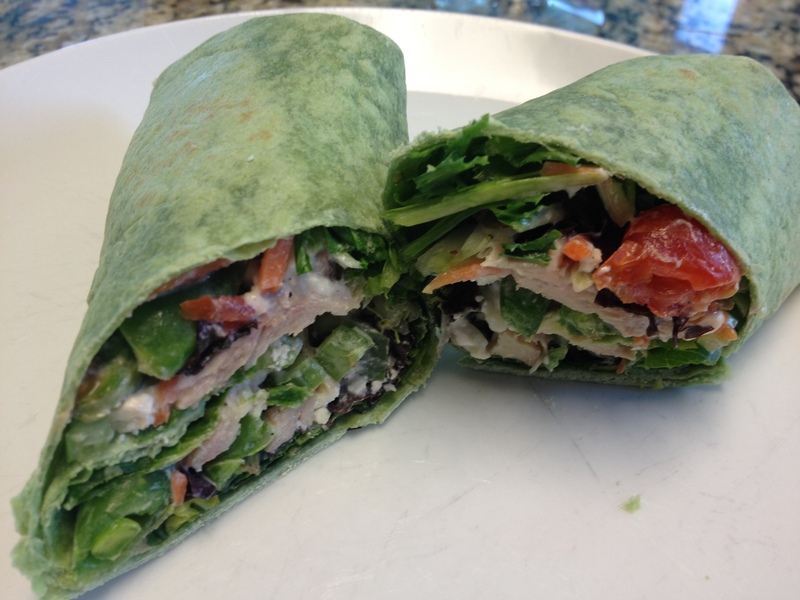 Made a quick, healthy & tasty spinach wrap! Can’t get any easier than this! Grill once, eat for days. Gotta love it!